Illinois-based developer Elevate Entertainment has decided to temporarily make all three of it’s iOS titles from it’s Crawl Space Games division FREE for a limited time. 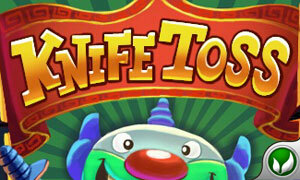 We’ve previously reviewed two of these titles on the site, Knife Toss – CLOWNS BEWARE! 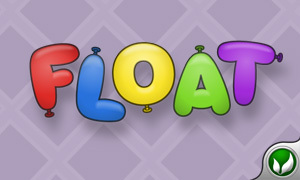 and Float, both of which were great games, garnering 4 star ratings. The third title, Zombies Ala Mode™, while not yet formally reviewed on the site is also rather fun as well and is available in separate iPhone and iPad releases. Knife Toss is a humorous, “target-practice” style shooter where you must throw daggers, butcher knives or axes at a spinning wheel to pop balloons while avoiding hitting a friendly (and nervous) looking clown who is strapped to the wheel. 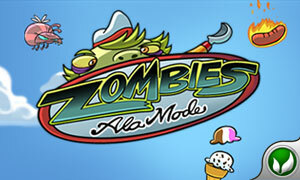 Zombies Ala Mode™ has you working Zombie trying to make it as ice cream parlor assistant. You must fill customer orders while dodging obstacles and try not to get fired. Finally, Float has you trying to keep one or more balloons of varying shapes and colors safe as they descend aimlessly down the screen toward the perilous spikes below, in nine distinct gameplay modes. All three titles are entertaining family-friendly games (even Knife Toss, as it is handled in a funny way), with vibrant cartoony graphics and solid gameplay. I highly recommend picking these up, they are a great addition to anyone’s app library. 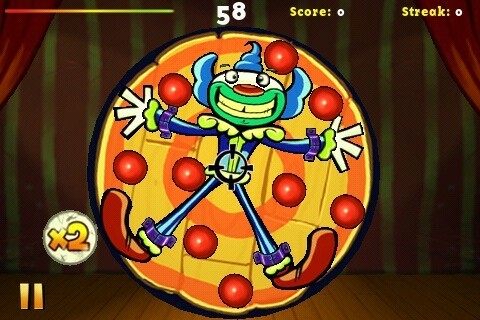 Knife Toss – CLOWNS BEWARE!